Unless you have been living under a rock for the past few years, you are probably well aware of just how important smartphones have become. While it may seem like the technology itself is the most important part of their rise to prominence, the reality of the matter is that app development and app developers actually play a sizable role in determining the importance of your smartphone. It is not the phone that is truly important, it is the applications that it contains. There is no aspect of our lives that is not affected by our smartphones in the modern day and thanks to the help of the aforementioned app development and its associated app developers, there is no limit to the benefits that we can enjoy. Think about it this way: from the moment you wake up and start to get ready for work or school, from the moment that you crawl back into bed, you use your smartphone and all of its awesome apps. It all starts when you first get out of bed in the morning. iPhone and Android app development have allowed us to immediately get started with some of our favorite social media hubs. With our smartphone and our apps, we now have the ability to scroll Facebook, check our Twitter timeline and even go through our e-mails, all without having to leave our beds. Just imagine what it would be like if you wished to check all of these social media hubs before the advent of smartphones and iPhone and Android app development. You would have been forced to get up out of bed, power on your laptop or sit down at a personal computer and then start checking your e-mail and your social media pages. 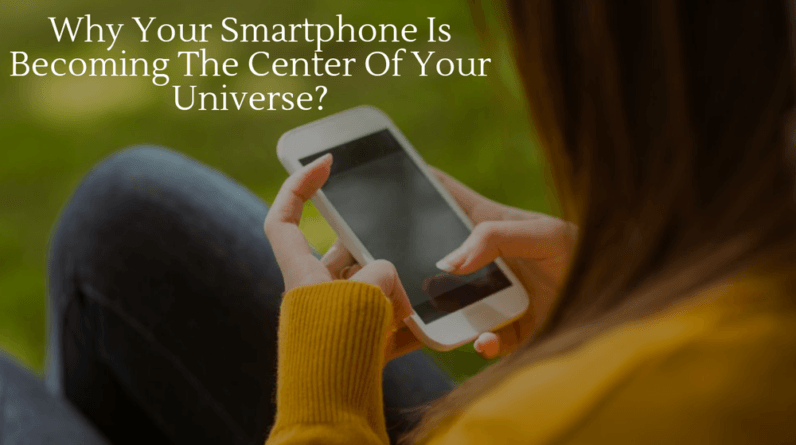 Now that the smartphone is the center of our universe, we can simply handle these functions at the press of a button or the swipe of a key, without having to exert any additional energy in the process. From there, it is time to seize the rest of the day. But your smartphone can be used for a number of other tasks before you even decide to leave the house. Now that the Internet of Things is becoming more prevalent, we are able control various household functions with the use of an app. Whether you wish to set your thermostat to a certain level or program your television set to record favorite programs, there is now an app for essentially any function that you can think of. Before long, we will be able to control every single aspect of our homes from our smartphones and we have the hard work of app developers to thank for this. Once you leave the house for work, the usefulness of apps does not end there. For the vast majority of society, smartphones have become an invaluable tool when it comes to getting around with safety and convenience. Do you remember what it was like before we all had GPS functions on our smartphones? Without GPS based apps, we were forced to utilize GPS machines that we needed to go to the store and purchase. In addition to the GPS that was operated manually, we also had to use Mapquest and sites of its ilk to receive directions. While most of us know our way to and from work, there are side trips and other journeys to be made throughout the course of a day that force us to rely on smartphones. Work is also affected by the advent of smartphones, as there are now apps that are designed to keep us more connected with our coworkers, without having to schedule meetings and clear out vast blocks of our schedule. The ability to remain up to date with fellow team members is a very useful tool. Apps even grant us the ability to work from home if need be, without missing out on anything important at the office. Thanks to apps, workplaces are also able to save money on staffing needs, which is then invested in other areas of their business that allow them to grow in an exponential fashion. Even the simplest of activities that take place throughout the course of our days are now controlled by apps that we download into our smartphones. Instead of burning a CD or carrying around an iPod in order to listen to our favorite songs, we simply use apps such as Apple Music or Spotify, where an entire music library is available to us at the mere touch of a button. Lest you think that this is a mere trend that will be replaced by the next step up the technological advances ladder, smartphones and their apps are most definitely here to stay for the foreseeable future and beyond. More and more companies are now doing everything in their power to ensure their ability to remain on the cutting edge going forward. Any big name company that you can think of has already created an app to offer to their consumers and if they haven’t, they certainly should be. Our leisure time activities are also enhanced with the use of apps and when it is finally time to head home for the day, the apps that we choose are designed to provide us with plenty of options. This is especially useful in an era where more and more people are moving to major cities in order to pursue higher education and a career. It can be tough to make your way around a city that you are not familiar with and it can also be challenging to meet people. But as the (new) saying goes…there is always an app for that! As the world continues to shrink more and more, smartphones have become the new center of gravity and those who know how to get the most out of their apps are the ones who will prosper over the long haul. Some may push back against this reality, but only those who allow themselves to enjoy all of the advantages that smartphones and all of their associated apps can provide will truly reap all of the aforementioned spoils when it comes to these matters. Businesses are gearing up for this new reality as well and before too long, virtual reality applications will become part of the new normal. While there are still numerous smartphone skeptics who view them as being trendy, this is not a progressive viewpoint to take. Those who push back against the importance of the smartphone (and the importance of apps) are taking a major risk and may end up on the wrong side of history as a result.